Research into recent hot weather in Queensland and New South Wales, Australia is showing that the weather could lead to far more pest problems for apiarists than originally thought. Dr. Diana Leemon, Queensland’s Department of Agriculture, suggests beekeepers should keep an eye out for the small hive beetle (SHB). These tiny pests could reduce honey production in hives across east Australia. After weeks of warm, wet weather in Queensland and New South Wales, the beetles are likely to become more active. When it’s warm, honeybees hang outside the hive to help cool it. The beetles take advantage of these moments and invade the hive to lay eggs. The small hive beetle is native to South Africa, and it was first detected in Australia in 2002. “The beetle larvae, while in the grub stage, can completely destroy a bee hive,” Dr. Leemon said. Small hive beetles need protein, and they feed on bee pupae or larvae as well as the pollen in the hive to get that protein. To fight against the small hive beetle, the Honey Bee and Pollination Program are trying to develop a synthetic lure to trap beetles before they get into hives. Michael Horinitzky, chairman of the program, says research was needed to reduce the threat posed by small hive beetles. “It is exciting research in terms of developing the odor lure and modifying a non-specific commercial trap to contain the lure,” Dr. Hornitzky said. 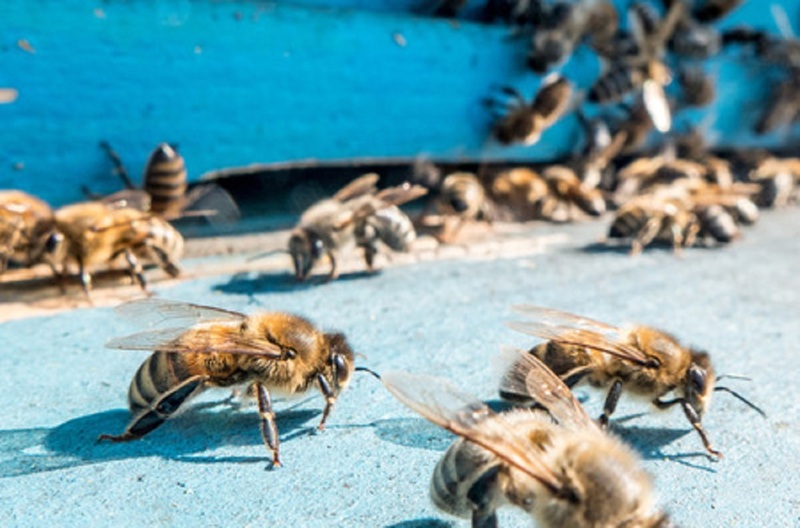 The goal is to help beekeepers establish better eradication practices for the future. Dr. Leemon hopes to have a trap they can modify. “We are trailing the synthetic lure this week, but before that we have been using a natural odor to track beetle movement. The odor is based on, ironically, the yeasty horrible smell that comes out of a hive after the beetles have destroyed it. We have done a chemical analysis of the slime at different stages of development and how attractive it is to the beetles. We found certain chemical components that were highly attractive and use those to make a lure.” Leemon says the next challenge is replicating the trap’s success outdoors though they appear to be on the right track.